Crude oil prices look poised to extend losses after a drop through the March low delivered the weakest levels in six months. From here, a daily close below the 61.8% Fibonacci expansion at 50.66 exposes the 76.4% level at 48.54. Alternatively, a reversal above the 50% Fib at 52.37 opens the door for a test of the 38.2% expansion at 54.08. 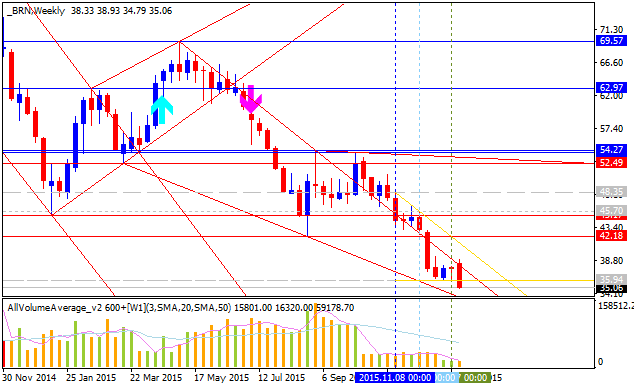 Crude Oil Technical Analysis: Bottom in Place Above 48.00? 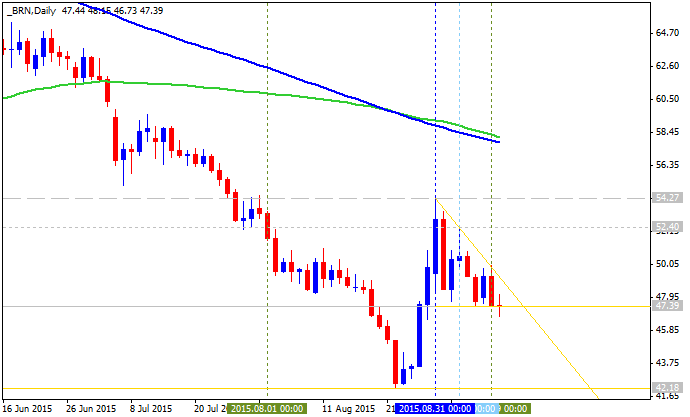 Crude oil prices may be preparing to launch higher after prices put in a Bullish Engulfing candlestick pattern. Near-term resistance is at 51.34, the 14.6% Fibonacci retracement, with a break above that on a daily closing basis exposing the 23.6% level at 53.27. Alternatively, a turn below the 48.22-54 area (76.4% Fib expansion, August 10 low) clears the way for a challenge of the 45.11-17 zone (100% expansion, January 13 low). 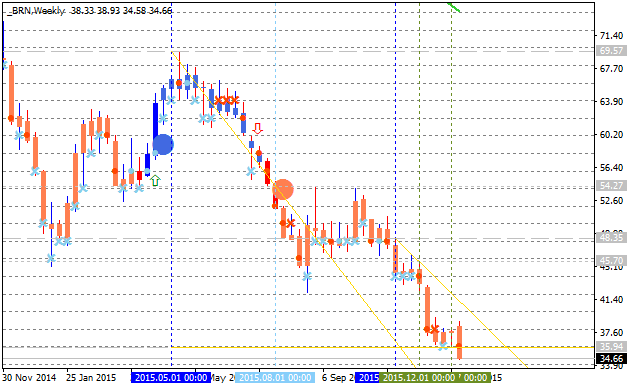 Crude oil prices put in a Bullish Engulfing candlestick pattern, hinting a move higher may be brewing ahead. 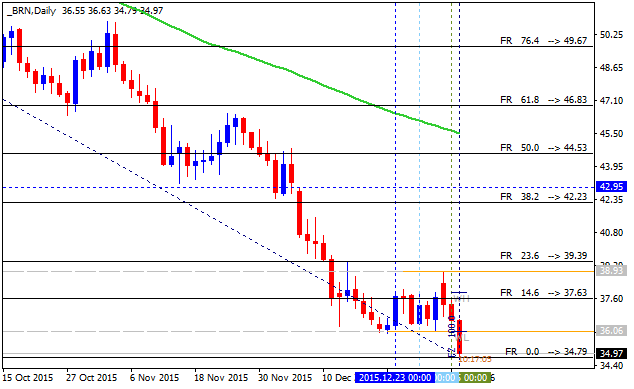 A daily close above the 14.6% Fibonacci retracementat 51.34 exposes the 23.6% level at 53.27. Alternatively, a move below the 48.22-54 area (76.4% Fib expansion, August 10 low) opens the door for a test of the 45.11-17 zone (100% expansion, January 13 low). 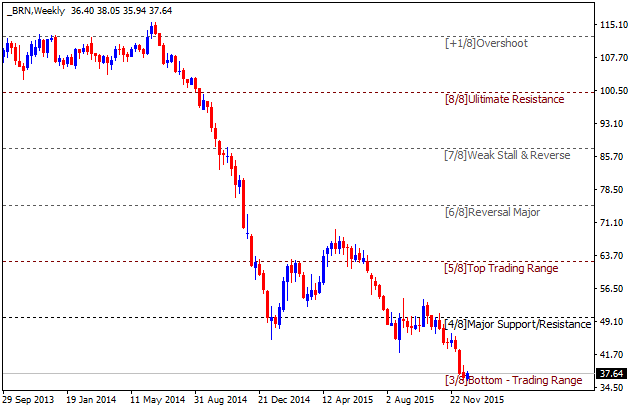 Crude oil appears poised for deeper losses after prices slipped below chart support above the $47/barrel figure. The Brent crude contract found resistance below the $55/barrel figure and turned downward having launched a sharp corrective recovery after plunging to a six-year low in late August. From here, a daily close below the 50% Fibonacci expansion at 45.58 opens the door for a test of the 61.8% level at 43.52. Alternatively, a move back above the 38.2% Fib at 47.63 clears the way for a challenge of falling trend line resistance set from the August 31 high, now at 49.24. WTI Crude Oil price punched higher toward three-week highs today. There was speculation by U.S. refineries that crude demand was increasing alongside a trend of lower production caused a clean bid in Crude. The rise was in stark contrast to other commodities, namely metals that ended the day in the red by 1% or greater. However, the 3.8% move higher in crude is aligning with a stabilization in economic data, which is beginning to chip away at the fear of supply remaining on the market due to falling economic data. "The pressure in Oil seems to be unrelenting. On Friday, the market got wind of the Baker Hughes rig count that jumped by 17 (meaning more production in an oversupplied market), and prices dropped yet again. The trend is definitively lower, but traders without exposure in the market may want to keep an eye on a few signs that a short-term bottom could be forming, at least for US Oil. While we often discuss the US benchmark for Oil, West Texas Intermediate Crude, the international benchmark for Oil recently broke below its 2008 low. The December 2008 low for Brent Oil was $36.20, and this week’s low was $36.05, $0.15 below the 2008 low." "Turning to the price of US Oil, you can see we have seemed to find a sticking point north of $33.50/bbl, the 2009 low. Just below there is the December 2008 low at $32.40. We will continue to focus on this price zone as support. However, there are other technical forces that may act as support for testing those levels." "First, you will notice that two key points are converging on two Andrew’s Pitchforks drawn off prior key pivots. The Red Pitchfork is drawn over a longer time-frame whereas the Black Pitchfork is more precise because the span of points is tighter and covers a smaller range. However, the median line of the shorter-term Pitchfork has aligned with, the lower parallel line of the longer term pitchfork at a point that additionally aligns with a Fibonacci 1.272% extension. This bounce off support is by no means enough to call a bottom in Oil, but rather a potential relieve rally back to the August 24th low & December 15th high of $37.73-$37.86/bbl. End of year seasonal tendencies favors US Dollar weakness, which may support Oil further." "Lastly, you can see RSI (5) pushing on trendline resistance. A break higher could further show a relief rally is underway. Momentum has stalled to the downside, even as price pushed further down, which can indicate some reversal on the horizon. If RSI(5) does unwind, and a move higher develops, it would be worth keeping an eye on the resistance levels of the December 15th high, and move our sights to the $40.00/bbl level where we recently accelerated lower on December 7th. A break of $40.00 on a closing basis would be the first decent signal of a more significant turn, which aligns with an Elliott Wave count we have been tracking, that could see us test upper $50s in Q1 2015." 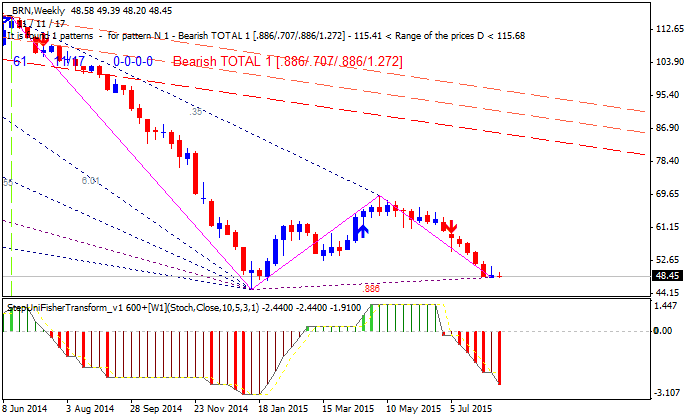 Daily price for Gold (XAU/USD) is on primary bearish market condition for the breaking 36.29 and 35.93 support level for the bearish trend to be continuing. 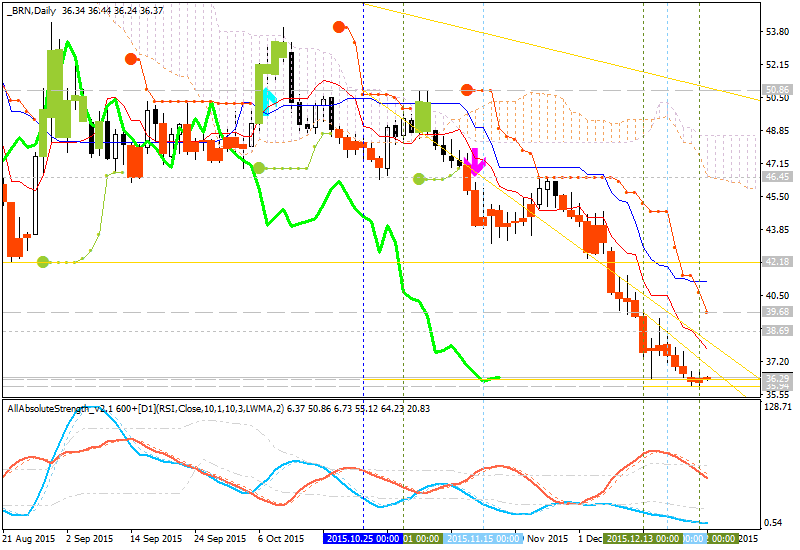 The price was on the bearish breakdown since the beginning of November this year by breaking Ichimoku cloud from above to below together with 46.45/42.18 key levels. 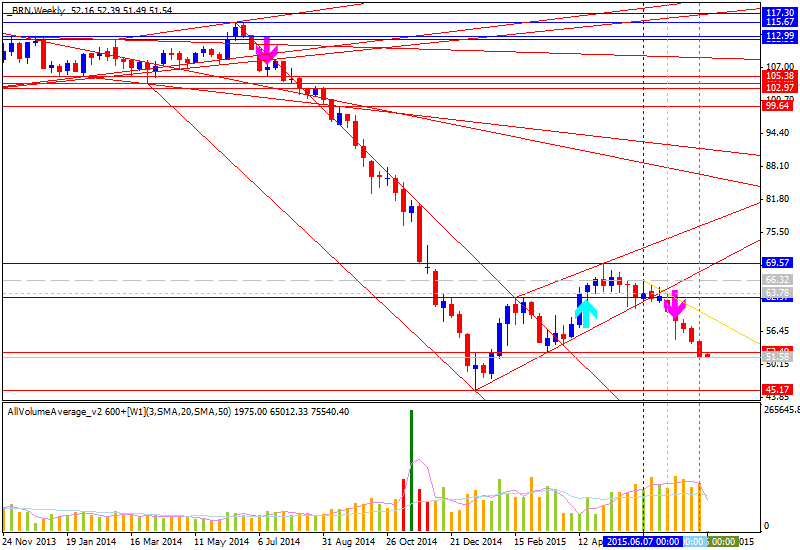 Price was stopped by 36.29/35.93 support levels to start with the secondary ranging within the levels. 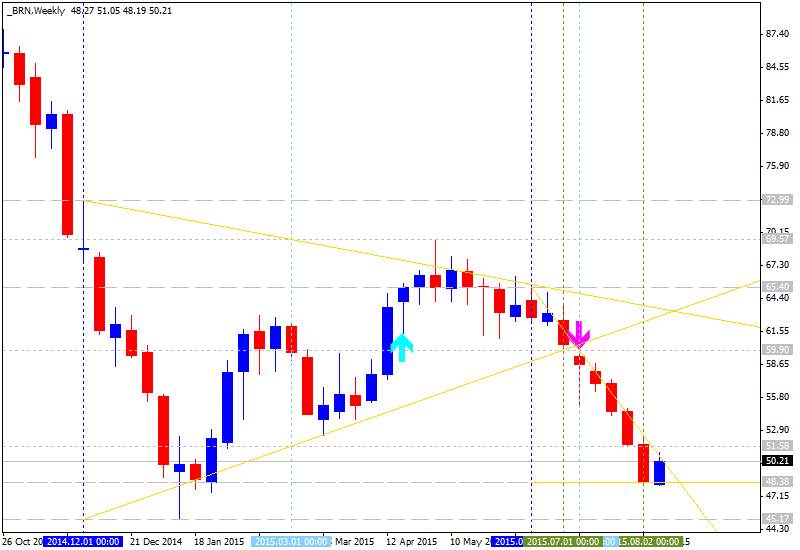 If the price breaks 35.93 support level so the primary bearish will be continuing. If the price breaks 39.68 resistance level so we may see the local uptrend as the secondary market rally within the primary bearish market condition. If the price breaks 46.45 resistance level so the price will be started to be reversed from the primary bearish to the primary bullish condition with the secondary ranging. Could oil prices collapse to $20? "The short answer is ‘yes.’ We believe that crude oil prices could fall further unless global oil production is reduced. As shown in Table 2, we estimate that the global oil market could be oversupplied by roughly 920,000 bpd in 2016. 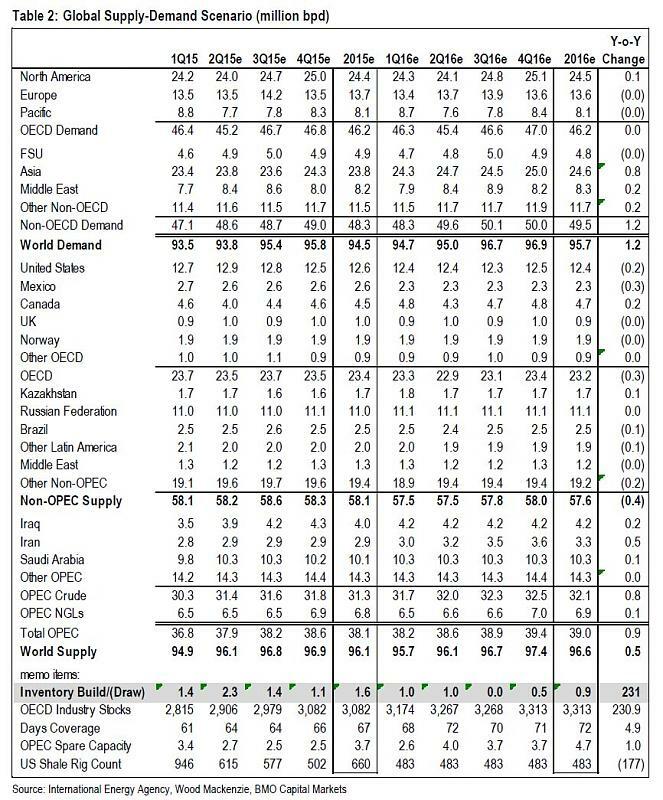 The key assumptions are year-over-year growth in global demand of 1.2 million bpd, Saudi Arabia, Iraq and Libya hold production at current levels, Iran ramps up production at moderate pace over the course of the year and the U.S. rig count remains at current levels." "There was a confluence of resistance at the $38/bb zone that saw Crude post a bearish Shooting Star formation. However, the most notable part of that zone of resistance is that the zone includes the August 24 closing low. When past support acts as new resistance that can be a prelude to a very strong move. Fundamentally, the rise in Oil was blamed on tensions between Saudi & Iran. However, it seems that the disagreement between the two Oil-producing nations shows there is a lack of supply control, which very well may continue to add to price pressure on the commodity." "Of course, this aligns with rising non-OPEC supply from Russia & the United States which aligns with the bearish technical picture. If there is a bullish note on Oil, it has to do with Institutional Positioning as Hedge funds close out 14,699 bets that crude oil will fall according to Commodity Futures Trading Commission data. 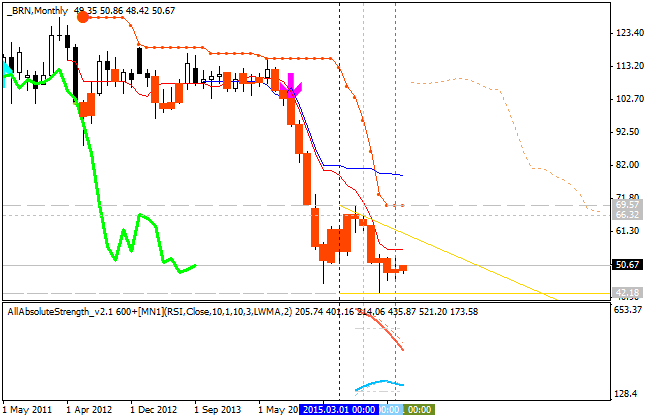 However, short covering and new longs are not the same things, and Oil is mainly seeing the former in play." 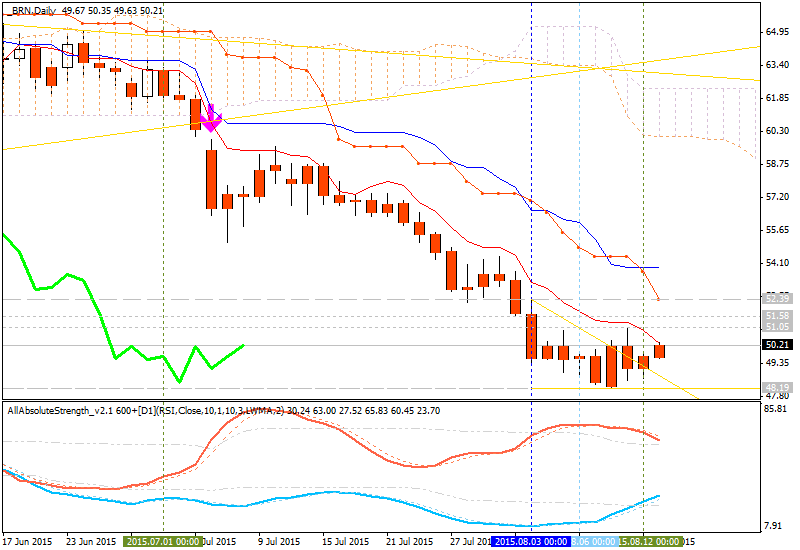 As we see from the chart above - crude oil is on bearish market condition with the secondary between 23.6% Fibo resistance level at 39.39 and Fibo support level at 34.79. If the price will break 39.39 resistance level so we may see the local uptrend as the secondary bear market rally to be started. 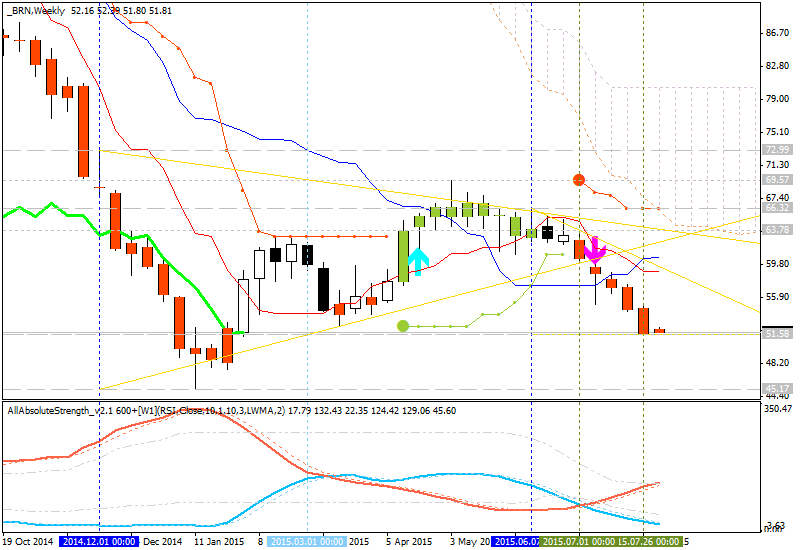 If price will break 34.79 support so the bearish trend will be continuing. What Next for Crude Oil? Right now, Crude Oil prices are in major focus, as it is one of the hottest things to trade in the market and has been for some time. It has been in a strong downwards trend for several months, falling from over $100 a barrel to less than $30. It fluctuates in value by large amounts, and daily price changes greater than 5% have not been unusual. This is a lot of volatility. It is normal that whenever one of the most significant commodities such as crude oil falls to a historically very low price, speculation immediately turns to how low it is going to go before it turns around. A quick search of the internet using the right search terms will bring up a lot of articles purporting to explain that the price of crude oil will eventually reach $10, or cannot possibly fall lower than $20, etc. The authors will usually be using economic fundamental analysis as well as an analysis of oil supply, which really is an important issue with commodities such as oil, unlike currencies where supply is rarely a factor. 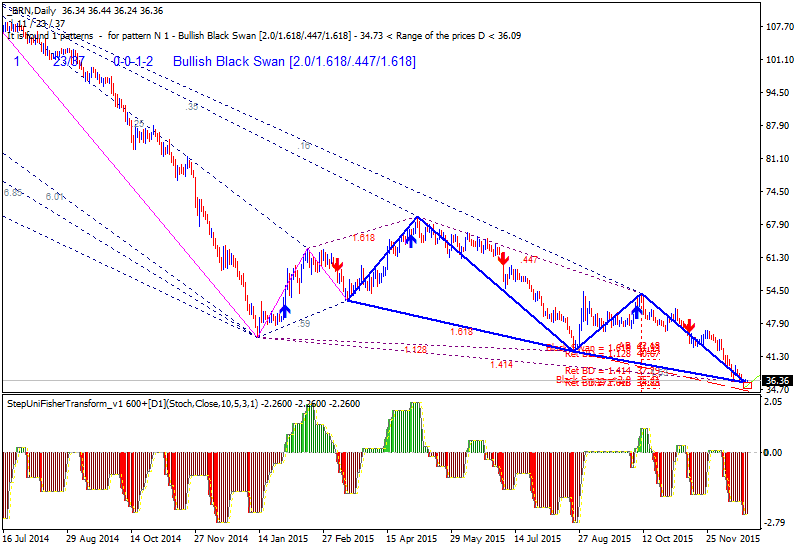 Fundamental and supply analysis both have an important place in trading commodities such as crude oil, but I strongly believe that the best thing that a crude oil trader can do is ignore this speculation, at least until the price chart starts to look noticeably different. Fundamental analysis should be used as a confirmation of technical analysis and not the other way around. The problem with this speculation is that it is a psychological distraction that traders fall for. Traders are trying to convince themselves they can pick the bottom price, exit any shorts for maximum profits, and then start buying and sit tight while they wait for oil to get back up to $100 per barrel again, or some similar high price. There are so many things wrong with this approach it is hard to know where to begin! The old saying about the first 1/8th being too expensive to worry about refers to the way that markets tend to consolidate before turning around when the reach a really significant maximum or minimum price. For example, let’s say hypothetically that crude oil will soon reach the price of $25 per barrel and this will be the cheapest price we are going to see over the next ten years. This sounds great, but there are two major flaws. Firstly, you really have no way of knowing that this price of $25 is going to be the low. Secondly, the price might spend months chopping around at $26 or $27 per barrel. There is no reason to believe that the price is going to turn around and shoot back up again right away. Markets usually do not work like that, and prices tend to spend some time failing to move any further in one direction before they really turn around in the other. We are hearing this again and again, with explanation as to why the price can’t go any lower than $20 or $10 or any other number you care to pick. Of course, there is a logic here, as crude oil has intrinsic value, and there has to be a price below which it is very unlikely to go. However there is no point in speculating as you are unlikely to get it right! There is another old trading maxim that fits well with what is going on here: “prices are never too high to go higher or too low to go lower”. Trade with the Trend, until the Bend in the End! You’ve heard “trade with the trend” a thousand times before, but are you acting on it? After all it’s less glamorous to be selling oil than being a heroic buyer – but the odds favor you selling it. Of course you might sell into the bottom tomorrow and lose a short trade or two, but what is the rush? If the price does bottom out and start to rise, you can start buying then, maybe a few dollars higher but why care if you buy at $35 instead of $25 if the price goes back up to $100? You will usually save money by waiting for the trend to change instead of trying to pick the exact turn at the lowest price. Traders often confuse themselves trying to use all kinds of fancy tricks to tell what the trend is or how strong it is. You can actually simplify it easily by just asking yourself this question: is the price higher or lower than it was 6 months ago, 3 months ago, 1 month ago. If the answers regarding 3 months and 6 months are mixed, you can say there is no trend. If the answers match, you do have a trend, and if the 1 month also matches you have a very strong trend with a lot of momentum.